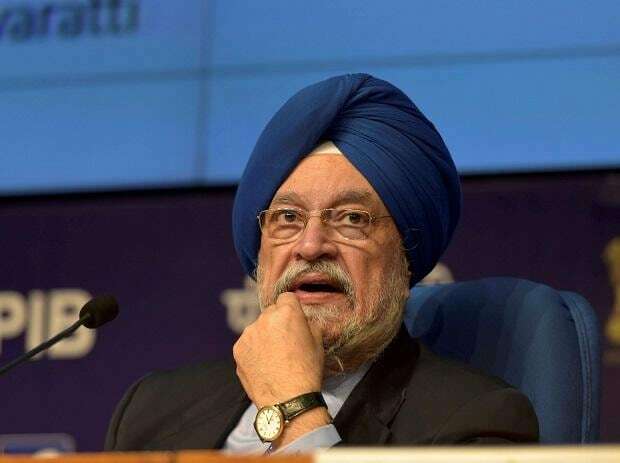 The Congress was "shy to take on Pakistan" but the BJP-led Modi government reversed the trend and gave the neighbour a bold response for the Pulwama terror strike, Union minister Hardeep Singh Puri has said. "The previous UPA government was shy to take on Pakistan, saying both are nuclear-powered nations and any conflict will be dangerous," Puri said. "But the Modi government does not feel so and India retaliated for the terror attack in Pulwama boldly," the career diplomat-turned politician told the gathering. He also referred to the safe return of Wing Commander Abhinandan Varthaman, who was captured by Pakistan on Wednesday last week and returned home on Friday. The minister released the book "Antar Pravah", a collection of short stories and couplets authored by Suman Devi. Puri suggested that Suman Devi should write 30 more books. Suman Devi has earlier published two similar collections, "Prem Suman" and "Bhavanjali". Her husband was the late Ram Ugrah Prasad, journalist and cartoonist. Her stories are written in a simple narrative style with a moral lesson towards the end.